Travelers in-the-know head straight to Naples for the country’s best pizza, but now they can taste some of it in Florence. 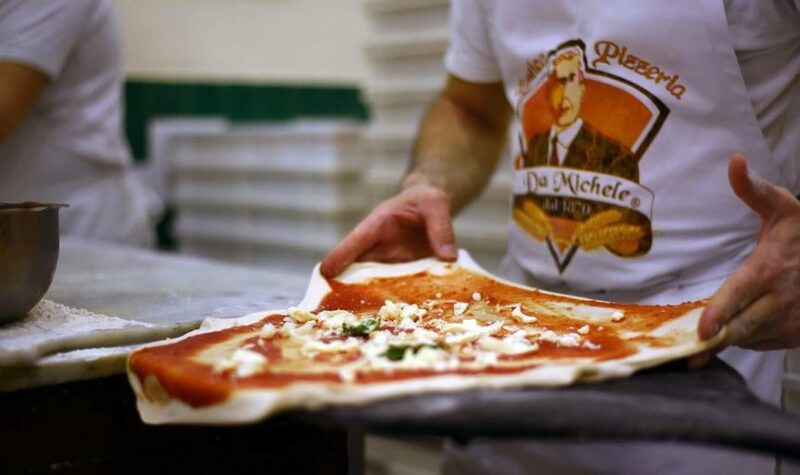 A Neapolitan landmark since 1906, L’Antica Pizzeria da Michele, has opened shop in Florence. As much as a Botticelli painting hanging on the Uffizi gallery walls can inspire visitors, so can these pizzas. Expertly crafted by the Condurro family for more than a century, these pizzas are some of the best in the country. Despite having multiple locations all over the world, Da Michele uses Neapolitan ingredients and techniques the family has used since the beginning. The latest addition to the Da Michele family is located in front of Florence’s Mercato Centrale, another bastion of foodie goodness. Upon entering the pizzeria, guests are transported 300 miles south of Florence thanks to the ceramic decor typical of southern Italy. The menu offers five pizzas (marinara, margherita, napoli, calzone and cosacca) and no fried starters usually found in other pizzerias. With stars like the perfect pizzas made by Romolo Menniti, who needs an opening act? Beer is supplied by Saint John’s Brewery in Benevento (in the hills outside Naples), wines from Salvatore Martusciello in Naples, and dessert from another Neapolitan staple, the Pasticceria Vincenzo Bellavia. So, dining at Florence’s Da Michele is a complete Neapolitan experience! Reservations are not accepted at the pizzeria, but the line moves quickly as the pizzas cook for less than two minutes each and are devoured in almost as short a time. Indoor or outdoor seating is available with about 90 seats in total, and the pizzeria is open daily for lunch and dinner from 11 am to midnight.